U.S. 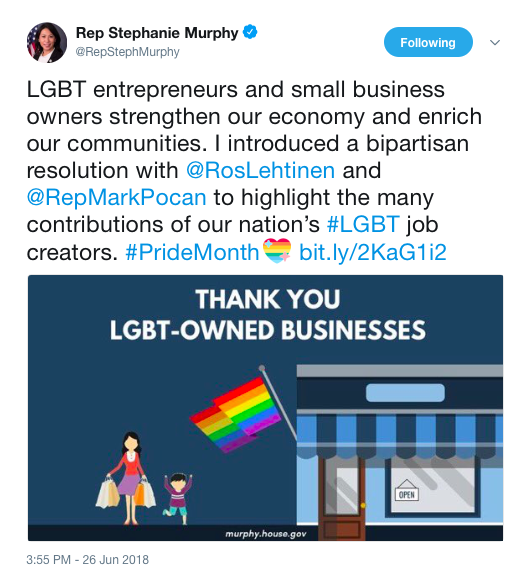 Representatives Stephanie Murphy (D-FL), Ileana Ros-Lehtinen (R-FL), and Mark Pocan (D-WI) have introduced a bipartisan resolution recognizing the contributions of lesbian, gay, bisexual, and transgender (LGBT) entrepreneurs and small business owners to our nation’s economy. Murphy, Ros-Lehtinen, and Pocan (the only LGBTBE serving in Congress) introduced the resolution as a final honor during LGBT Pride Month, which takes place each June and celebrates the LGBT community in the United States and around the world. 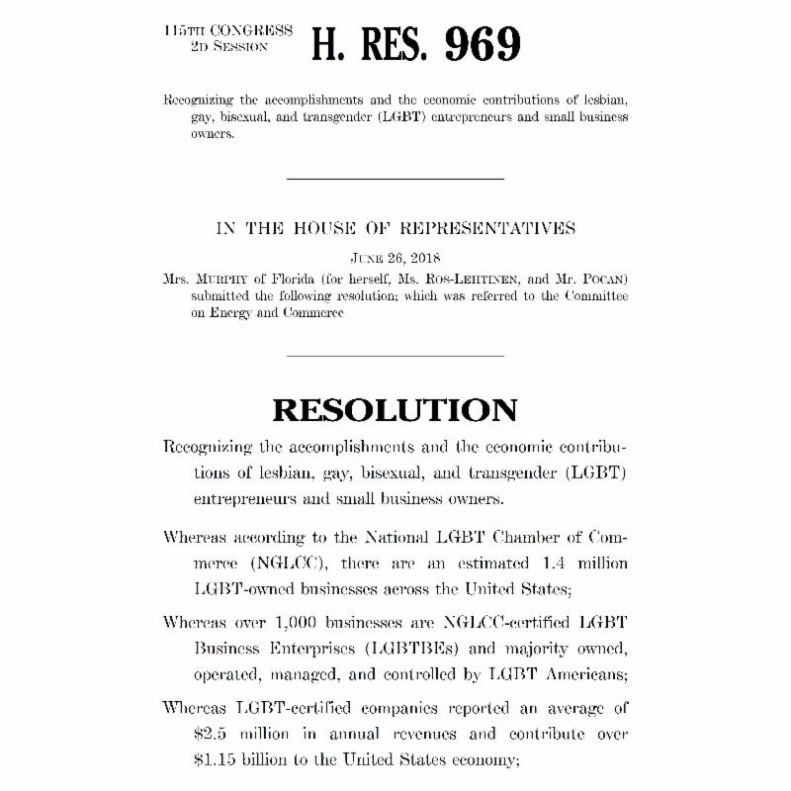 "We are so pleased that this resolution affirms what we have observed at NGLCC since our founding nearly twenty years ago: that America’s LGBT business owners are driving our economy ever upward and deserve every opportunity to keep creating jobs and innovating our industries that benefit all Americans. The estimated 1.4 million LGBT business owners NGLCC advocates for and certifies as LGBT Business Enterprises have truly earned a place at the table of opportunity in both the public and private sectors. We thank Representatives Stephanie Murphy, Ileana Ros-Lehtinen, and Mark Pocan for their leadership, and to all Members of Congress who believe in a fully inclusive economy that celebrates the diversity of America." Washington, DC -- The National LGBT Chamber of Commerce (NGLCC), the business voice of the LGBT community, is deeply disappointed by the decision of the Supreme Court of the United States to pave a path toward the stripping of rights of LGBT Americans in the wake of its decision on the Masterpiece Cakeshop, Ltd. v. Colorado Civil Rights Commission case. Despite the court’s narrow decision focused on the specifics of the Colorado law, NGLCC continues to assert that religious or personal convictions are not a valid reason to deny services or benefits to the LGBT community anywhere. The Court’s decision did affirm the importance of nondiscrimination laws and the need to protect LGBT people from discrimination, but leave the ultimate questions about LGBT equal protection unanswered. The Masterpiece Cakeshop proceedings have always been about more than just cake. 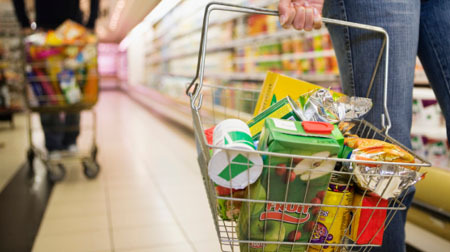 As the arguments were presented, the Supreme Court weighed the rights of LGBT people to freely access American businesses against the beliefs held by some store owners that their religious convictions preclude their businesses from serving LGBT people. Unfortunately, the Justices did not come down on the side of progress with a decision that could ultimately jeopardize the right of LGBT people and other diverse communities to freely patronize businesses and access public opportunities in their community. While this decision is undeniably a potential step backward for LGBT rights in the United States, it also threatens a larger framework of protections for other minority groups, including people of color, the differently abled, and women. As a direct result of this decision, civil rights laws across the country may now be reconsidered or potentially nullified if found to be similarly applied against religious intolerance. “As NGLCC’s work has demonstrated, LGBT inclusion is associated with higher levels of entrepreneurship and is linked to GDP growth, whereas LGBT discrimination goes hand-in-hand with a decline in productivity and success. This decision by the Supreme Court to add additional potential barriers for LGBT Americans who only wish to contribute to the US economy as full and equal citizens will damage the American economy and the economies of the businesses who participate in this discrimination,” said NGLCC Co-Founder and CEO Chance Mitchell. The event starts promptly at 6 pm at Advanced Advanced Individualized Medicine of Naples, 720 Goodlette Rd. N., Ste. 204, Naples, FL 34102. We will provide information about Medical Marijuana from 6 pm to 7 pm and from 7-9 pm will be individual consults for those interested.